Lady Gaga is opening up about her health condition. In her October 2018 Vogue cover story interview, published on Monday, Sept. 10, 2018, the Mother Monster spoke out against those who doubt her ongoing battle with chronic pain. Gaga, who will star opposite Bradley Cooper in their remake of A Star Is Born early next month, told the magazine, "I get so irritated with people who don't believe fibromyalgia is real." She added, "For me, and I think for many others, it's really a cyclone of anxiety, depression, PTSD, trauma and panic disorder, all of which sends the nervous system into overdrive, and then you have nerve pain as a result." The "Million Reasons" hitmaker, who's raised awareness about fibromyalgia over the last year, went on to call for people "to be more compassionate," before saying, "Chronic pain is no joke. And it's every day waking up not knowing how you're going to feel." Well said. As Nicki Swift previously reported, Gaga was forced to cancel a number of her European tour dates due to experiencing severe physical pain in February 2018. She had initially postponed the international leg of her Joanne World Tour last September for similar reasons. 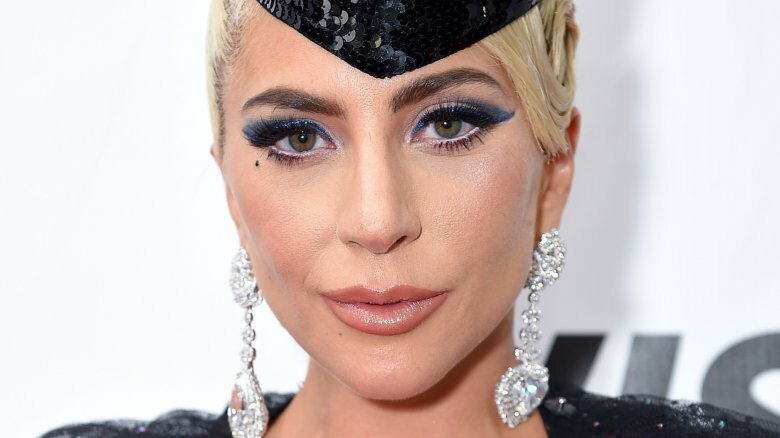 Just ahead of the fall 2017 release of her popular Netflix documentary, Gaga: Five Foot Two, the 32-year-old singer-songwriter publicly revealed via Twitter that she has fibromyalgia. According to the Mayo Clinic, this musculoskeletal pain disorder is characterized by "widespread musculoskeletal pain accompanied by fatigue, sleep, memory and mood issues." Thankfully, Gaga is doing much better these days. She recently told Vogue, "It's getting better every day, because now I have fantastic doctors who take care of me and are getting me show-ready." Lady Gaga isn't the only celeb to recently open up about their health. Over the summer, Modern Family star Sarah Hyland, who suffers from several chronic health problems stemming from her lifelong battle with kidney dysplasia, has kept her fans up to date on her wellness journey after being hospitalized for undisclosed reasons in June 2018. While showing off the results of her recent workout efforts in early August, she revealed that she previously weighed 75 pounds earlier this year. Captioning a gym selfie on her Instagram Stories at the time, the actress wrote, "Very proud of this."